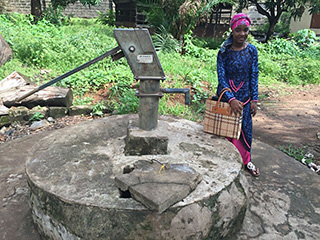 Bassie Bondeva Turay, Haja Isatu Bah, Modupe Taylor Pearce and Maria Teresa Julianell worked together to provide the children at Freetown Cheshire Home with proper access to water facilities by refurbishing its borehole and ensure that water can be accessed using a pump. Their overall goal was to improve their quality of life, personal hygiene and overall health of the children at the home. Freetown Cheshire Home provides accommodation and education to young children. A major issue in Sierra Leone is the lack of access to clean and safe water, and the children at Freetown Cheshire Home have suffered as a result of this major problem for years. Many of the residents have physical disabilities, and are unable to carry water or operate the water pump on their own because it was damaged. 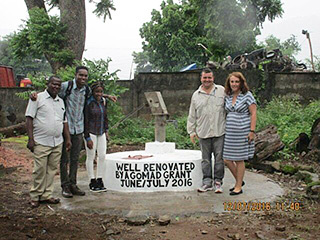 The group allocated their GoMAD funding to cover the cost of the borehole refurbishment. Fundraising efforts were launched to help pay for additional items like wood, valves and plumbing materials. 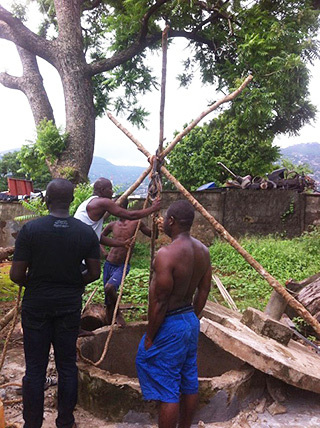 The team was able to refurbish the borehole by fixing the hand pump, replacing pipes in the well, cleaning the well, treating the water and painting the well’s exterior. They installed two electric surface mounting pumps, as well as pipes and electric cables to help transfer the water from the borehole to the home’s water tanks and toilets. The success of the project will have long-lasting results. From now on, children at Freetown Cheshire Home will have easier access to clean water. As such, they will be able to improve their personal hygiene and overall health. Bassie and Haja noted that they learned crucial lessons about leadership, thanks to their participation in the Freetown Cheshire Home Project. They learned that leaders must be flexible with their plans to adapt to unforeseen changes, and used this knowledge to keep the project moving forward despite challenges. The project was an eye-opening experience, and they were thrilled to see an entire community support them in their journey to touch the lives of a wonderful group of children.